Shop for dental hygiene products for pets at VetDepot.com. Dogs and cats suffer from bad breath just like humans. In pets, however, the problem may be worsened by poor oral hygiene and it may be more obvious because pets are more likely than humans to breathe in or near your face. Bad breath in dogs and cats is called halitosis and is caused by an accumulation of odor-producing bacteria in the gut, lungs, or mouth. Occasional bad breath is usually innocent, but persistent bad breath may indicate dental disease or a problem with your pet's kidneys, liver, or gastrointestinal system. Always seek help for bad breath that does not respond to a thorough tooth brushing. If your cat or dog has stinky breath all or most of the time, schedule an appointment with your veterinarian. Breath odor is sometimes an important clue into overall health and must never be ignored. 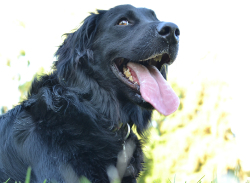 Plus, the underlying cause of your pet's halitosis must be uncovered before treatment can begin. "Always seek help for bad breath that does not respond to a thorough tooth brushing." After taking a medical history and performing a full examination, your veterinarian will likely ask questions about your pet's breath odor. If your cat or dog has fruity or sweet smelling breath, especially along with increased thirst and urination, he may be diabetic and require insulin therapy. Breath that smells foul and is accompanied by reduced appetite, vomiting, or yellowish corneas likely means liver disease, while urine-smelling breath generally points to kidney disease. If underlying medical problems are ruled out, your veterinarian will likely perform a full dental examination to check for gum disease, periodontal disease, oral cancers, and other problems. Sometimes, the problem is as simple as a few cavities or a buildup of plaque and tartar on the teeth. In these cases, dental work and improved routine dental hygiene can minimize or eliminate the bad breath odor. Bad breath in cats and dogs is nearly always preventable. Take your pet to the vet for regular physical and dental checkups, and check your pet's teeth frequently for signs of damage or decay. Feed your pet a commercial pet food designed specifically for his age and size, and avoid excess treats and sugary table foods. Practice good dental hygiene by brushing your pet's teeth at least every other day with a toothpaste and brush designed for use on pets. 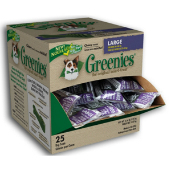 Provide safe chew toys to prevent tooth damage, and offer your pet dental chews, such as Greenies or CET dental chews, which are designed to clean his teeth naturally with chewing. Regular use of mouthwash may also be beneficial. With routine dental care and attention to oral hygiene, your cat or dog's breath should remain fresh-smelling (or at least inoffensive) most of the time. If preventive measures do not help, consult your veterinarian.